Should You Delete Facebook? | Challenger, Gray & Christmas, Inc. In light of the revelation that marketing firm Cambridge Analytica, used by President Trump’s campaign, mined and utilized Facebook user data to influence voters in the 2016 Presidential Election, stock of the tech giant fell 7 percent on Monday, and continues to fall. Meanwhile, the hashtag #DeleteFacebook has begun to trend on Twitter, prompting users to completely delete their accounts and the data therein. While deleting Facebook profiles will ensure users’ privacy, could it also hurt your chances in the job search? “The job search has changed dramatically over the last decade, and social media has been a huge part of that transformation. More companies are posting open positions on sites like Facebook and LinkedIn. Meanwhile, recruiters are using social media as a way to vet candidates before offering interviews,” said Andrew Challenger, Vice President of global outplacement and executive coaching firm Challenger, Gray & Christmas, Inc. 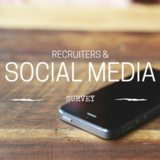 In a survey of 300 recruiters conducted by Challenger in April and May of last year, 80 percent said they use social media to vet candidates. Twenty-one percent of respondents cited Facebook specifically as a site on which they search for candidate information. However, zero recruiters cited Facebook exclusively as a site they search. Meanwhile, 99 percent of respondents said they search LinkedIn for candidate information. “If job seekers want to publish personal information on social media for the purpose of branding themselves for the job search, other sites are probably more appropriate than Facebook. The real issue is knowing what information to post and keeping in mind who may end up using this information and for what purpose,” said Challenger. Job seekers may decide to buck the #DeleteFacebook trend for now, especially as one-fifth of recruiters use it to assess candidates. Users should continuously check their privacy settings in order to keep up with any changes the platform may make to its privacy policies. This is true of all social media platforms. “Only share information that you would be comfortable with strangers seeing. Keep in mind that reacting to or commenting on a post on Facebook is also data that can be searched by third parties,” said Challenger. While social media has dramatically changed the job search, Challenger advises that meeting with contacts face to face is the tactic that will most likely lead to a new position. “In-person networking is still the best way to land your next position. Social media can be an effective tool for growing your personal and professional networks, but the goal should be to actually meet with people who are in a position to assist you in finding a new job. This could mean they themselves are hiring managers or they are in the position to introduce you to someone who has the authority to hire,” said Challenger. Challenger offered the following tips on using social media for the job search. Build your network. Challenger coaches advise job seekers to utilize every person in their personal and professional networks. With social media, you can grow these networks to include hundreds of people. Build your brand. Start a blog discussing industry trends as you see them. Include discussions about your work. Basically, talk yourself up. Make yourself a product employers must have. Participate in the online community. It’s not enough to have a presence on these sites, you must also actively participate. Comment on someone’s work. Endorse someone. Start a discussion. Post a photo or link to a provocative article. Write a blog post. Active users get more views and therefore more opportunities to connect with employers. Advertise your job loss. Although a job loss can be a trying time for families and loved ones, telling your followers that you are looking for a job can not only be therapeutic, but also incredibly useful to finding a new position. You can cast a wide net on social media, with the potential of achieving incredible results. Think before you tweet. Twitter can be as anonymous as you want it to be. However, if you want to find a new position, you may want to spend some time on each tweet. Remember that you're marketing yourself, you're a product. Much like with blogs, LinkedIn, Facebook, etc., you don't want to post anything that might be off-putting. What you read as witty, another might read as acerbic. You want to show your best face. Post your work. Make sure to include your best work on your profiles and share it publicly in order to give recruiters and employers a taste of your abilities. Get recommended. LinkedIn allows users to recommend each other. However, you could also ask your network to comment on some of the work you post on other networks. Make sure they are genuine recommendations.